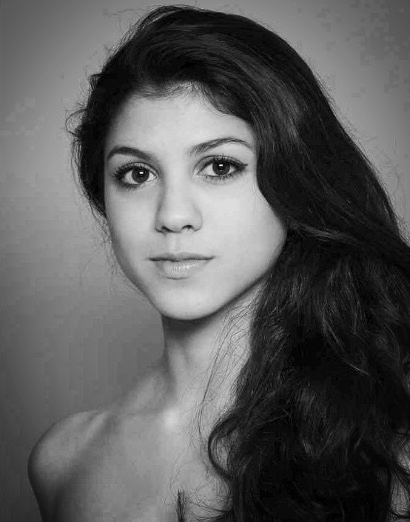 Nicole Assaad started dancing ballet at age 8 at the Patel Conservatory. After a year, she moved to All American Classical Ballet School in Tampa, Florida where she received training from Julio Montano and Gisell Durand. She won many awards and scholarships from competitions such as the Youth America Grand Prix, American Dance Competition, as a gold medalist and a recipient of the Fernando Bujones Award, and World Ballet Competition, receiving the bronze medal in the final round. At age 15, she moved to New York City to study with the Gelsey Kirkland Academy under a full scholarship. At age 16, she joined the Gelsey Kirkland Ballet Studio Company, performing various roles, such as “Marie” and “Sugarplum” in The Nutcracker, “Columbina” in the Flames of Paris, “Kitri” in Don Quixote, Diamond and Charity fairy in the Sleeping Beauty, along with many other roles. At age 18, she joined the Hong Kong Ballet’s corps de ballet under the direction of Madeleine Onne, where she performed in many productions such as Romeo and Juliet, Coppelia, Pinnochio, Carmen, Lady of the Camelias, and many other original productions that toured in Canada, the US, Macau, and Mainland China.